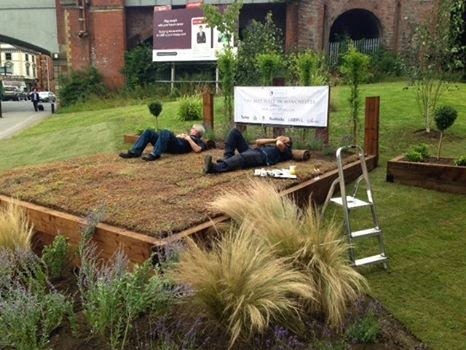 Dig the City, Manchester's urban gardening festival, is back this week to sprinkle a little compost and blossom across the M post-code. 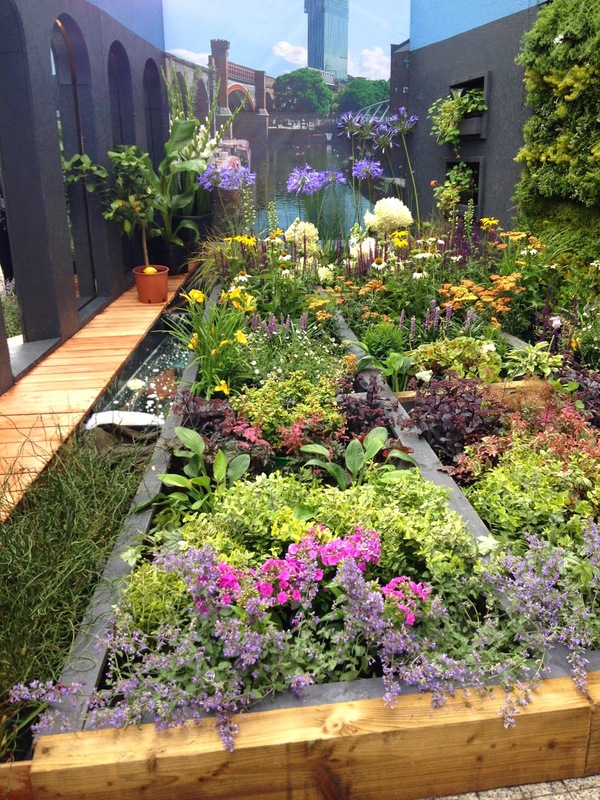 The festival looks to promote green spaces, gardening and getting back to nature in the urban setting + there's Bauhaus style garden living to boot! 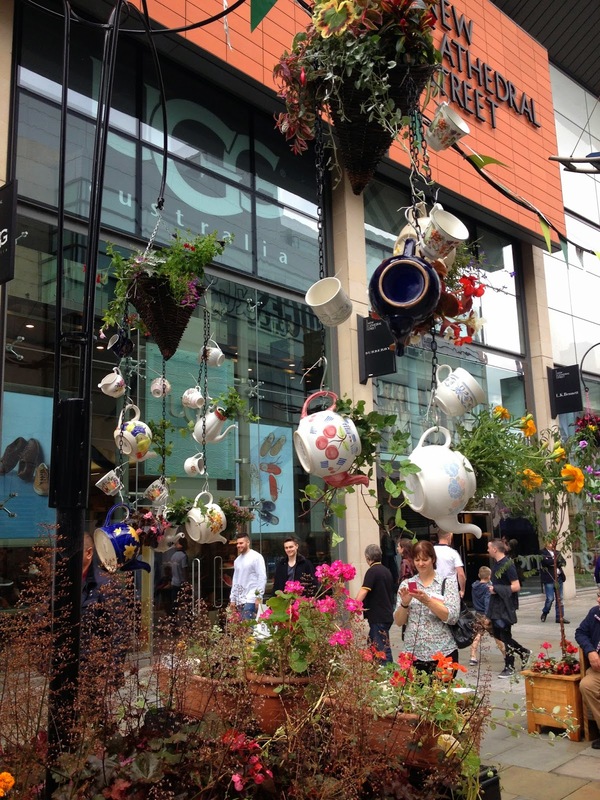 The festival is taking place throughout Manchester city centre with businesses and organisations getting involved on their own premises too. 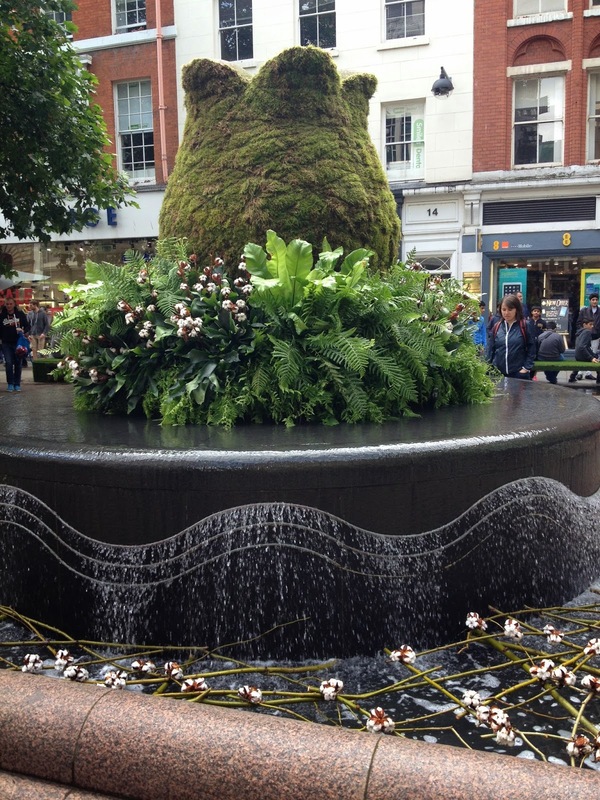 The MacDonald Hotel and Spa, for example, have erected their 339th room outside the hotel - taking alfresco to a whole new level. 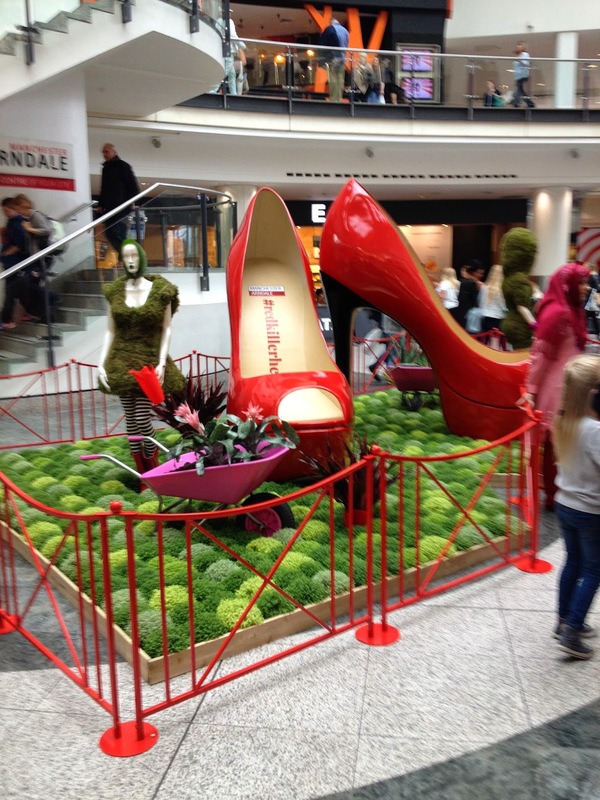 The Royal Exchange Theatre are in on the action and Manchester Arndale take fashion to the lawns with their show garden too. 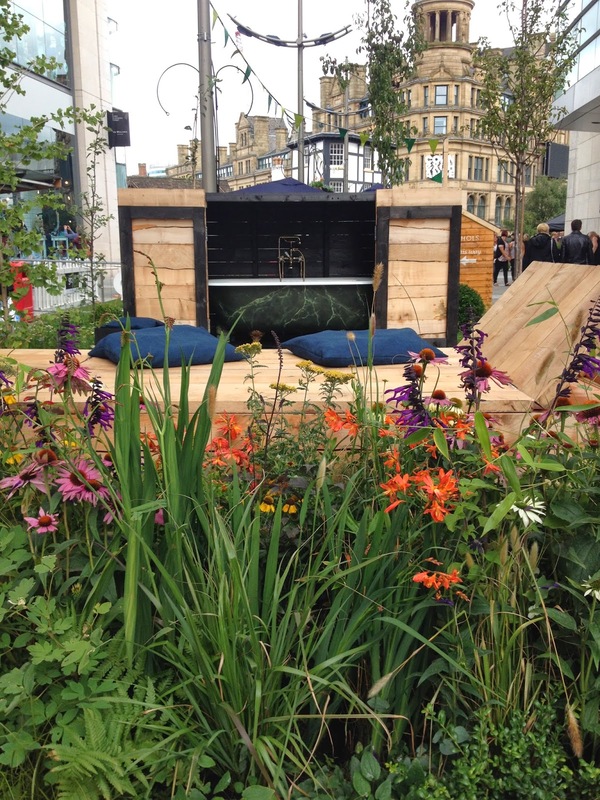 You can catch more show gardens on Victoria Street at Manchester Cathedral, New Cathedral Street and St. Anne's Square where there is also a festival hub for food, drink and live talks and demonstrations from the likes of Diarmuid Gavin. 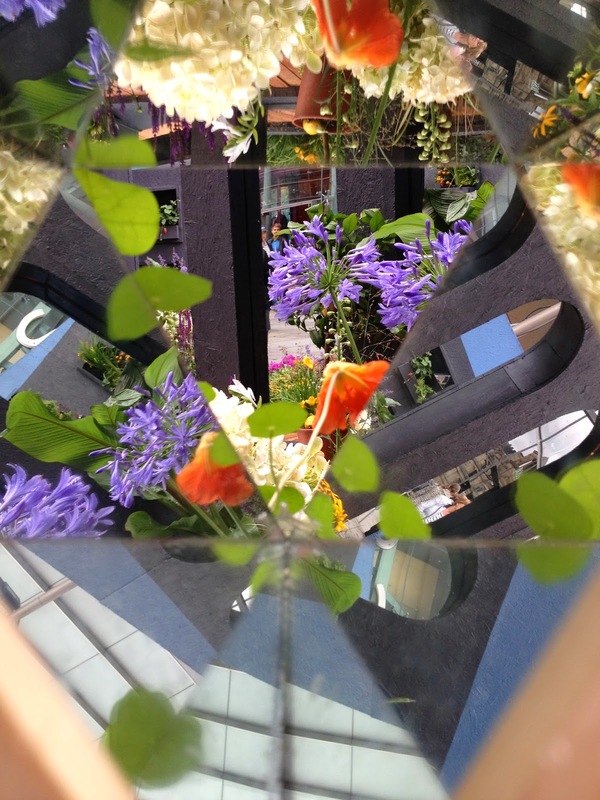 I think my favourite garden was the Optical Illusion garden by Dreamscape Gardens. 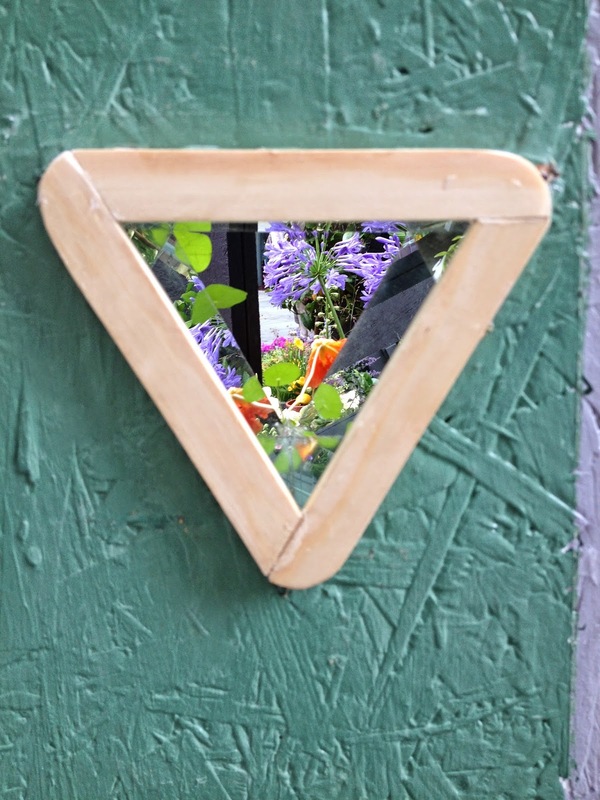 It included a water feature Charlie Dimmock would approval of and cool prism spy holes that distort your view of the garden and create a kaleidoscope effect. 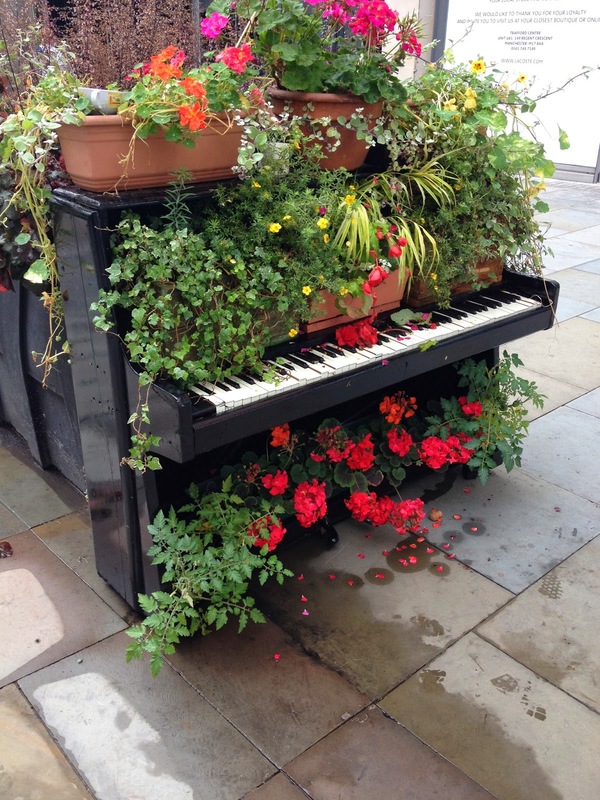 The festival ends on August 10th, so step out and be inspired to pot a pansy or two!